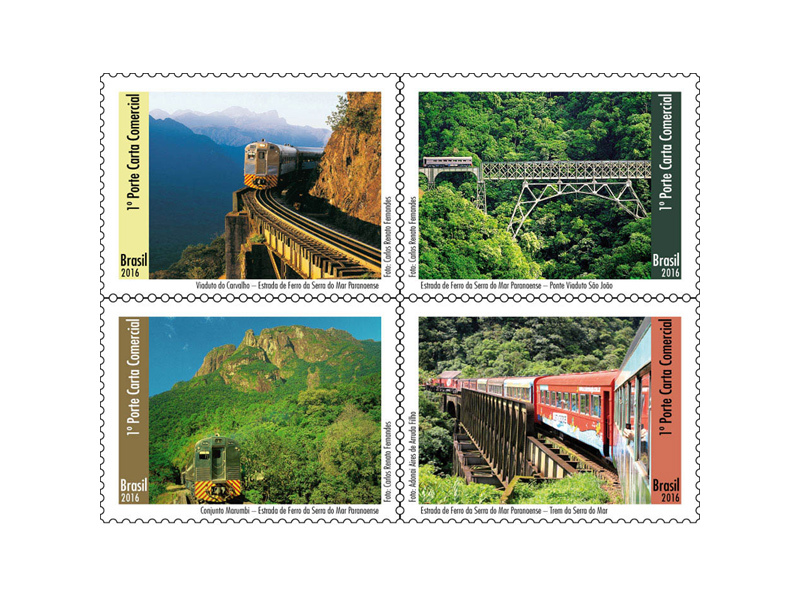 The Paranaguá-Curitiba railway, inaugurated on 2nd February 1885, passes through the beautiful landscape of the Serra do Mar mountains in Paraná, an area where a significant remnant of the Brazilian Mata Atlântica forest is preserved. 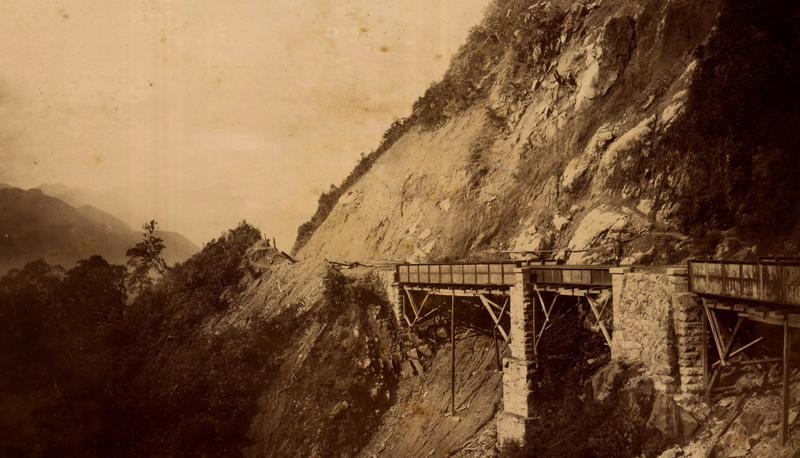 This daring project remains a reference in engineering: it covers 110 km, contains thirteen tunnels excavated through rock, thirty bridges and thirty-eight viaducts, constructed amid the mountains by courageous workers. 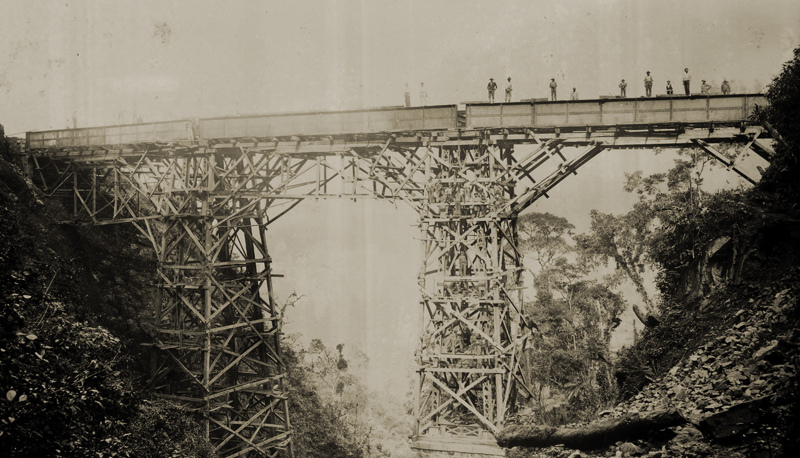 It is also important to note the contribution of this railway to economic and social development in the then province of Paraná. 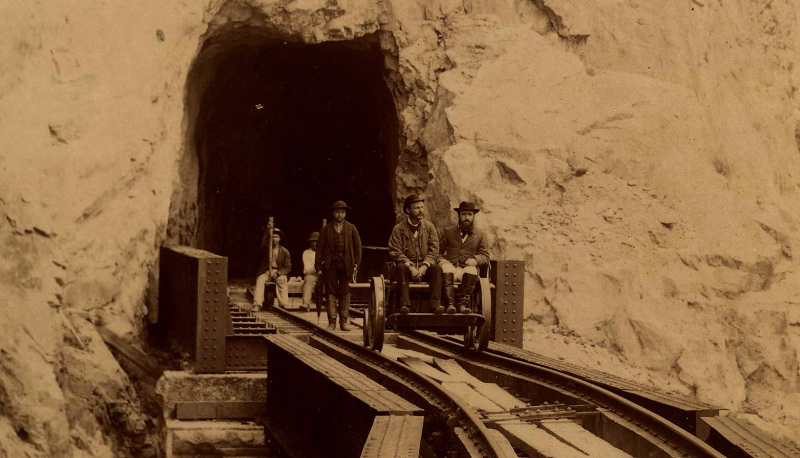 Goods that previously had to be transported between the coast and the plains and other areas of the Province along trails by porters or animals could now be transported by rail. 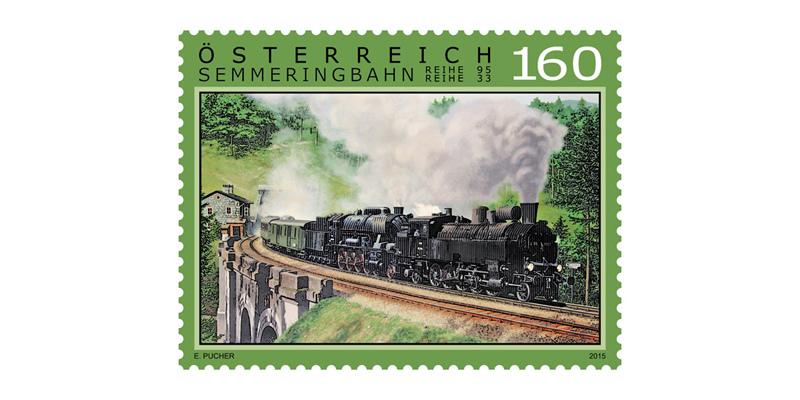 Even today, freight trains with dozens of wagons move thousands of tons of cereal and other products for exportation. 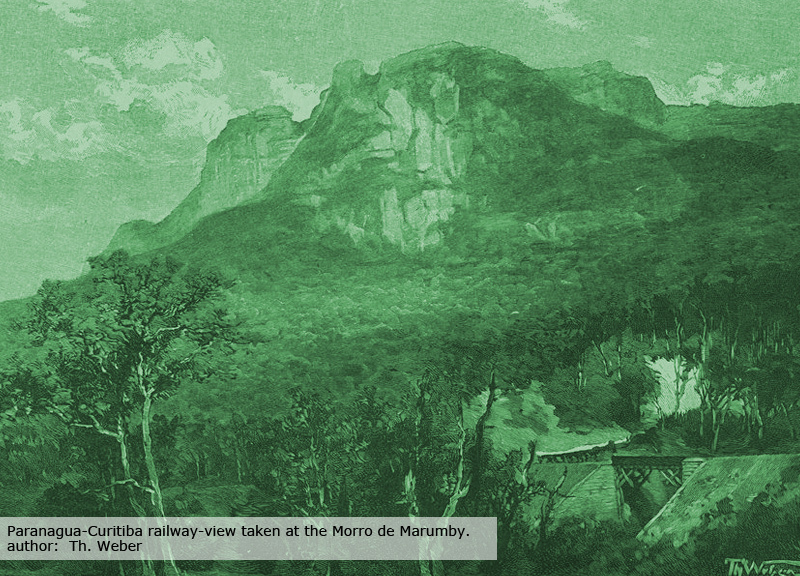 • Nossa Senhora do Cadeado Sanctuary: from this part of the railway, there is a beautiful view of the Maciço do Marumbi. Inaugurated in February 1965, the chapel was constructed to celebrate the 80th anniversary of the railway. • Conjunto Marumbi mountains: located in the Marumbi State Park, access to which is only possible on foot or by rail and which holds many other riches of the Brazilian Mata Atlântica forest. 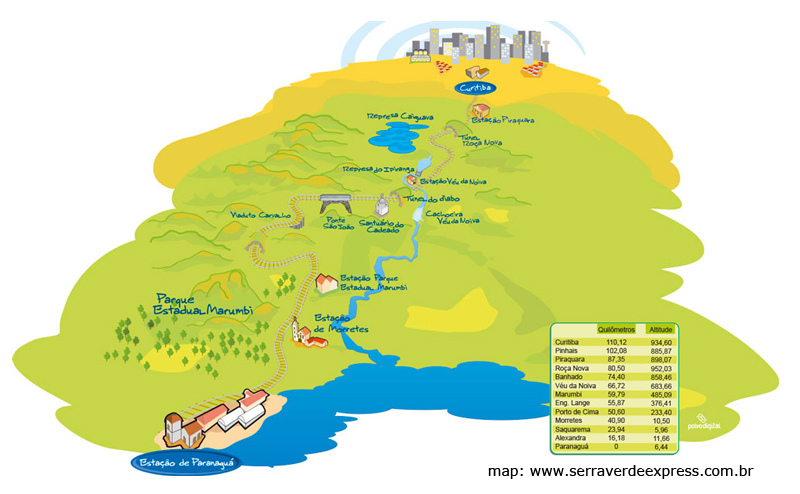 Close to the Estação Marumbi, there are trails that marumbinistas - those wanting to scale the Marumbi Peak, can follow. 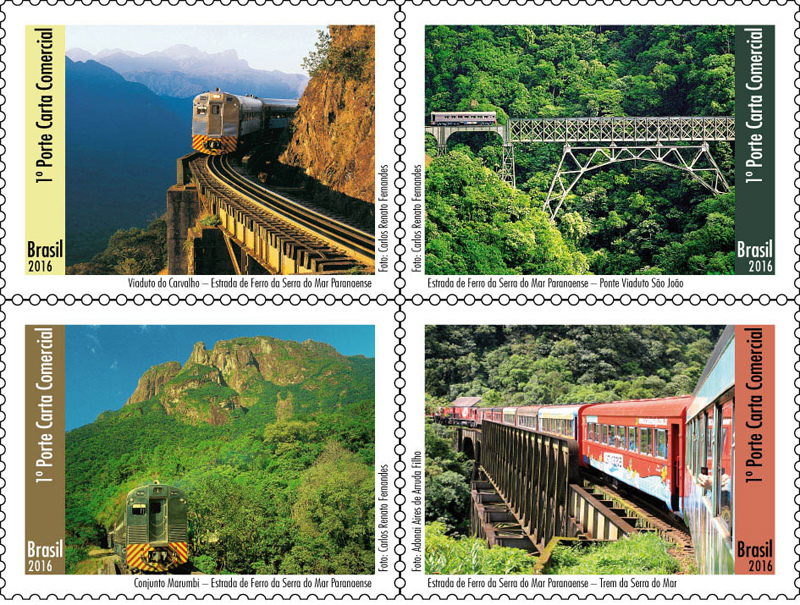 In this stamp issue, the Brazilian Post, in partnership with Paraná Turismo, highlight this important tourist attraction in the state of Paraná, as well as celebrates a little of Brazil’s railway history and engineering and revealing the full exuberance of the Atlântica forest.